Style your hair the way you love with Havells HC4031 Chopstick Hair Curler. It has an extra skinny barrel for tight and corkscrew curls ensuring quick curls with safety. Add a variety of hairstyles and bounce to your hair. 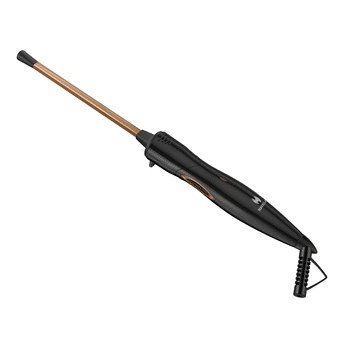 The ceramic barrel of the curler is sleek and smooth to make your hair glide gently. It also prevents hair damage and provides gorgeous looking curls. Ceramic coating ensures even distribution of heat. Its perfect rubberized 1.8 m long power long cord is for maximum flexibility and convenience, it gives wide radius to move around while you style. Additional Information: Havells India Ltd., is one of the largest and most diversified electrical products company in India with an extensive range of household, commercial and industrial electrical products.The brand introduces high-quality personal care, grooming and beauty products like electric shavers, beard trimmers, hair straighteners, dryers and grooming kits that help you style any look easily.You must look your best whether you are headed to your office or going to a party and Havells grooming essentials will keep you smart and stylish all the time! Explore the entire range of Curling Irons/Stylers available on Nykaa. Shop more Havells products here.You can browse through the complete world of Havells Curling Irons/Stylers .